A diagnosis of Alzheimer's can be devastating, but one group is making big strides in supporting patients, their caregivers and the medical community at large. 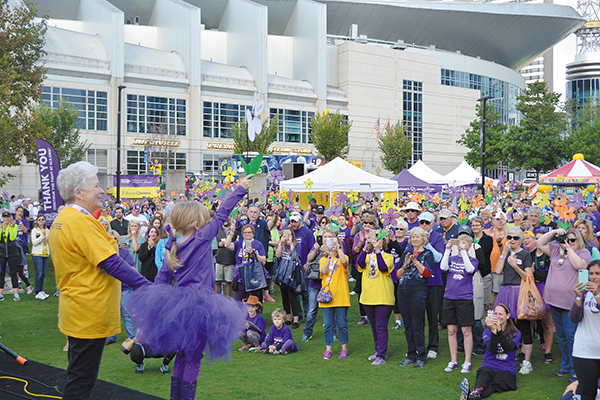 Headquartered in Nashville, the Alzheimer's Association, Mid South Chapter provides education and support to individuals in 116 counties within Tennessee and Alabama. 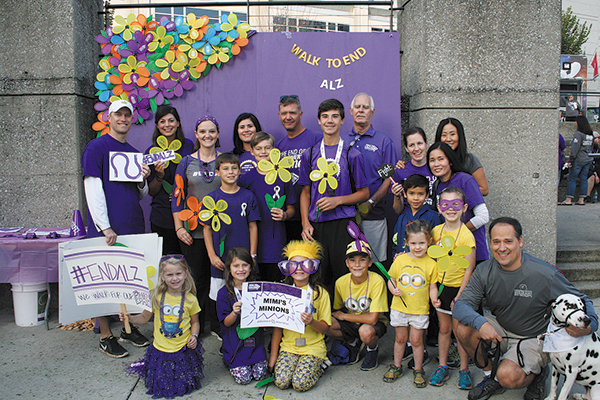 Tiffany Cloud-Mann, vice president of programs for the Mid South Chapter, said the group provides a variety of services for anyone touched by Alzheimer's. "Our program centers around educational resources and support," she noted. 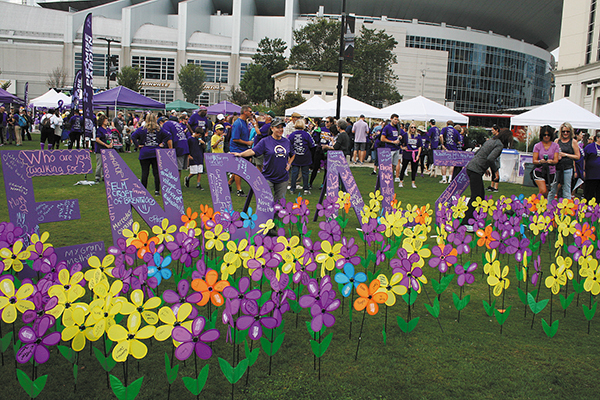 In addition to hosting fundraising events, educational seminars and support groups, the chapter works with volunteers to lobby for Alzheimer's funding. "We get a lot of direction from the national office in our work with both state and federal policy," said Cloud-Mann. Their annual "Day on the Hill" allows ambassadors to meet with Tennessee legislators to advocate for the region's growing Alzheimer's population. Alzheimer's is a disease leaving few families untouched, due in large part to the aging baby boomer population. However, that increased prevalence also has been key in breaking through the stigma previously tied to a diagnosis of Alzheimer's. "Someone we know will be affected by the disease, and people are more willing to talk about it than ever before," Cloud-Mann said. "People are also understanding more about Alzheimer's and dementia, and they're getting more facts on it as co-workers, friends and neighbors are touched by the disease. It's created more awareness." As figures increase, so does the need for caregiver support. 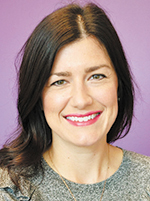 "A lot of patients don't fall into the financial bracket of receiving help, and those caregivers need ongoing respite," she said. "We're not sure what legislation will come up with, but we need more care and support on a state level." The Nashville chapter also is working with local physicians to increase referrals. "Some doctors will tell patients to call the Alzheimer's Association, while others don't really know what we do or think they need us," Cloud-Mann said. By partnering with physicians, the Alzheimer's Association staff hopes to increase follow-up and provide more support and resources to patients and their families. Their ALZ.org/professionals link provides different tools for assessing, caregiving and diagnosing, while their Alzheimer's Disease Pocketcard app, available at Clinicianapp.alz.org, provides access to clinical studies, pharmacology, assessment algorithms and more. According to the 2017 Alzheimer's Disease Facts and Figures report, an estimated 5.5 million Americans live with Alzheimer's dementia with 110,000 living in Tennessee. Within the national population, 5.3 million with Alzheimer's are age 65 and older, and approximately 200,000 have younger-onset Alzheimer's. Every 66 seconds, someone in the U.S. develops Alzheimer's dementia. By mid-century, someone in the U.S. will develop the disease every 33 seconds. Approximately 480,000 people age 65 or older will develop Alzheimer's dementia in the U.S. before the end of 2017. Two-thirds of Americans over age 65 with Alzheimer's dementia (3.3 million) are women. Alzheimer's is the sixth-leading cause of death in the U.S. and the fifth-leading cause of death for those ages 65 and older. In Tennessee, 2,672 died with Alzheimer's in 2014, the most recent figure available. Alzheimer's remains the only disease among the top 10 causes of death in America that cannot be prevented, cured or even slowed. Barring the development of medical breakthroughs, the number of people age 65 and older with Alzheimer's dementia may nearly triple from 5.3 million to 13.8 million by 2050.